Fragrance: Magnolia is a gentle fragrance that summons images of plush lawns and summer days infused with the heady scent of magnificent whiteflower trees...robust and at the same time comforting. The base notes wave lightly with watery green scents. 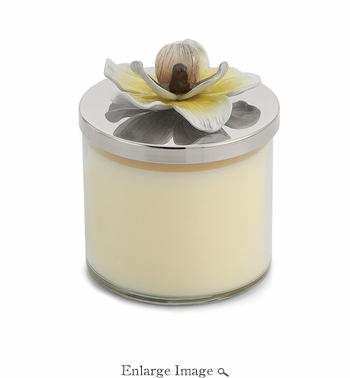 White magnolia with hints of ylang ylang and honey compose the center of the fragrance while distant layers of musk and spice richen the top notes.